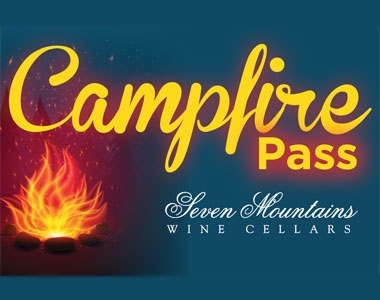 The $25 Campfire Season Pass includes ONE wine glass at the FIRST campfire attended in the season and entry to all 6 campfires in the season. Card can be used ONLY by the person listed on the card at time of purchase. You can purchase multiple passes in one order. Please enter the name(s) you want on the pass(es) purchased in the Order Notes field at checkout.